How to Support CHCURC - College Hill Community Urban Redevelopment Corp. There are several ways you can help CHCURC advance our mission – to revitalize the Hamilton Avenue business district to strengthen the surrounding College Hill community. Check: make out to CHCURC, and send to 1551 Marlowe Ave, Cincinnati, OH 45224; download donation card here. Stock: visit stockdonator.com; click here for instructions! ENGAGE: Please let us know how we can better serve College Hill! Share our website, Facebook, Twitter, and Instagram with your neighbors and friends. Make a special effort to attend our annual fundraisers, Derby Day (1st Saturday in May) and the Blues & Brews 5k (3rd Saturday in September)! VOLUNTEER: CHCURC has multiple parcels of property that we are preparing for development, and events to support these efforts. If you are able to help us out by donating your time, we’d appreciate it! SPONSOR: CHCURC is always looking for new sponsors to support our projects, events & initiatives – See below for a list of our current sponsors, and be sure to patronize these fine businesses! 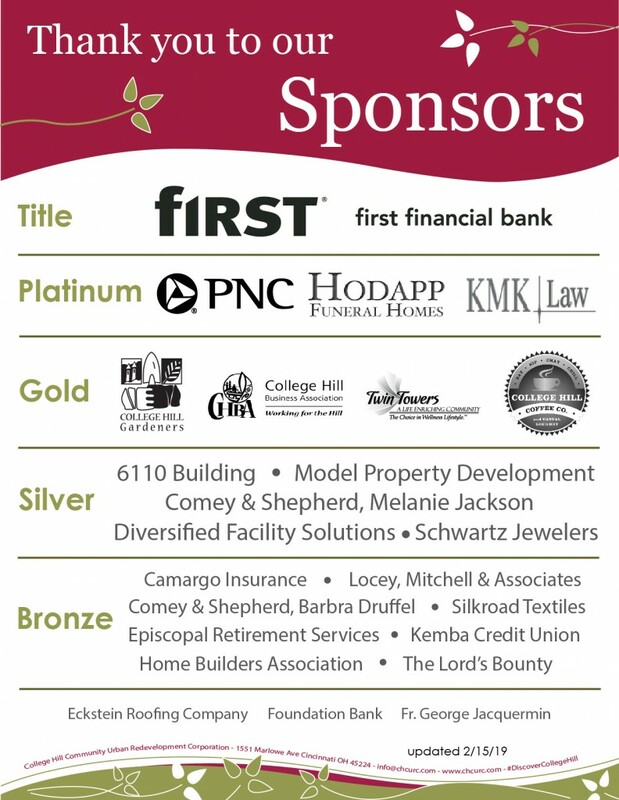 If you’re interested in becoming a sponsor, please email info@chcurc.com or call our office at (513)681-1551. In addition to our sponsors, we’d like to thank those who donated in any way to our 2018 Derby Day fundraiser – this event would not be possible without your support! Click here to view our 2018 Derby Day Sponsors & Donors. 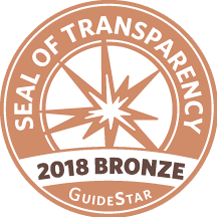 CHCURC was recently recognized for our transparency with a 2018 Bronze Seal on our GuideStar Nonprofit Profile!